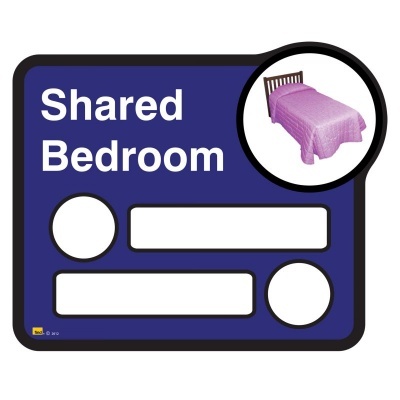 Specifically designed for dementia, the Find Signage Dementia Interchangeable Shared Bedroom Sign is available for two, three or four occupants and uses interchangeable names and pictures. For those with dementia it can be incredibly hard to read standard signage. In unfamiliar environments like a new care home this can cause significant stress and anxiety, so it's vital you do everything possible to help those under your care find their way throughout your facility. 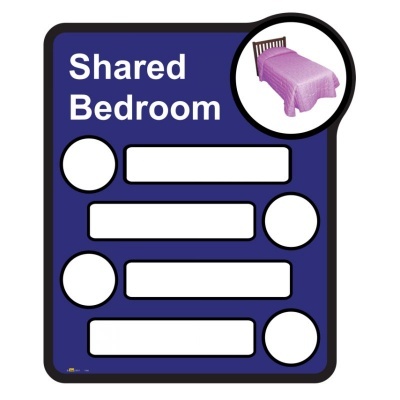 The Find Signage Dementia Interchangeable Shared Bedroom Sign has been designed specifically to aid those with dementia to find their bedroom or the room of another in your facility, helping to reduce your residents' levels of stress and anxiety. The sign features interchangeable spaces for names and pictures, helping residents identify their space as well as helping them find other residents' rooms more easily to provide a more communal and friendly atmosphere. 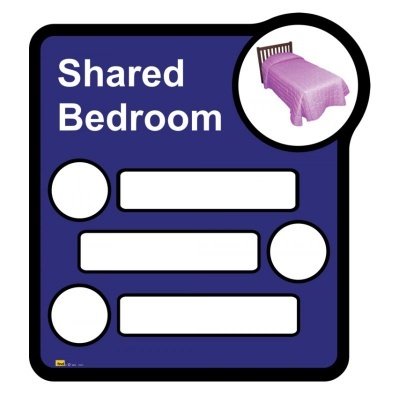 The shared bedroom signs are available in versions for two, three or four individuals, helping you provide your residents with accurate and personalised signage. Being lost in an unfamiliar environment can cause significant stress and anxiety in those with dementia. This can make what is meant to feel like their new home instead feel like a labyrinth with no exit. This clear and easy to locate sign helps you give residents a clear indication as to what the room is and who it belongs to, reducing the anxiety a new environment can cause.